This post was sponsored by Sukrin but all opinions are my own. Make these super easy Healthy Trail Mix Granola Bars for snacks at home or on the go! 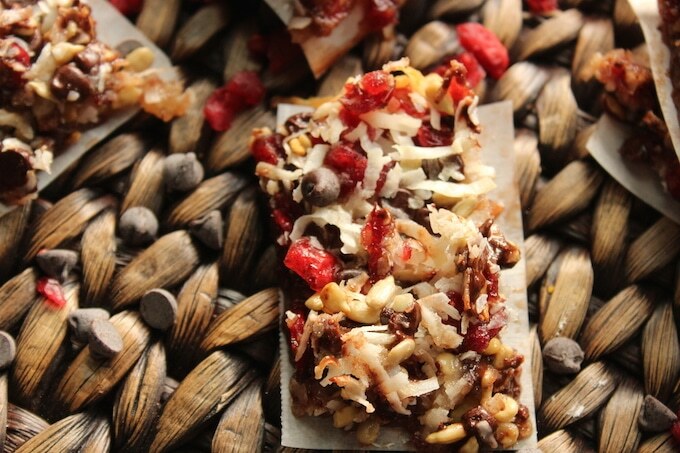 It’s a sure and simple way to give your family an energy bar full of yummy goodness. 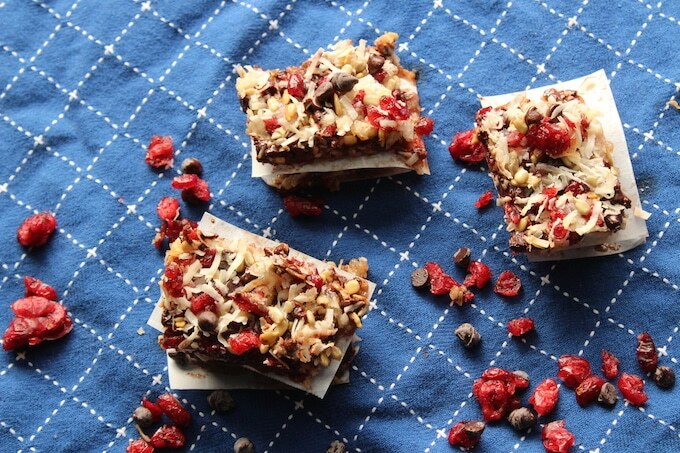 Granola Bars are great to get creative with! Using the base recipe, you can make your own versions of different granola bars by adding your own selection of fruits, nuts, and chocolate. Making them with your kids gives them a chance to make what they know they will love. These Granola Bars make perfect snacks for busy families. These keep very well in the fridge or freezer which makes it possible to make the bars in advance and ready for school or work lunch boxes, road trips, and picnics. This is very helpful for when you don’t have a lot of time to spare. 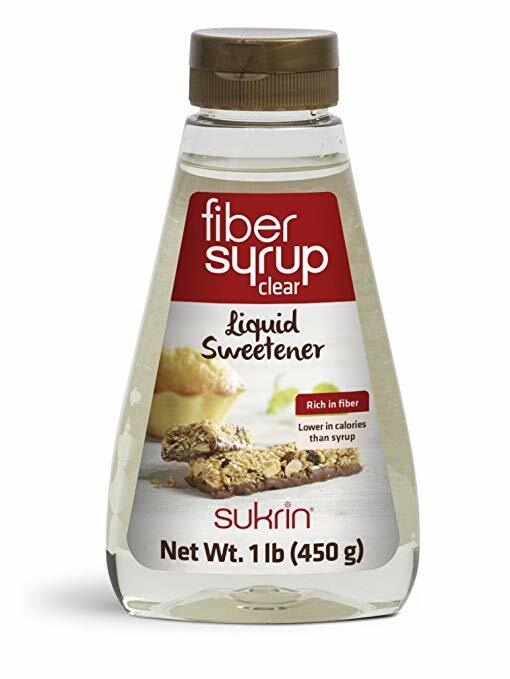 If you are new to Keto or a Low-Carb lifestyle, you may be wondering what Sukrin Fiber Syrup Clear is. Well, I’m happy to let you know that it is a versatile baking ingredient that can be used both as a sweetener and to give your cookies and biscuits a soft texture inside, while leaving them crispy on the outside. Fiber Syrup Clear works especially well as an amazing ingredient in home-baked bars, as it provides sweetness, a perfectly smooth consistency and a good source of fiber. I use it in place of honey and corn syrup. All-natural: No added sugars, artificial colors, additives or preservatives. Non-GMO ingredients. 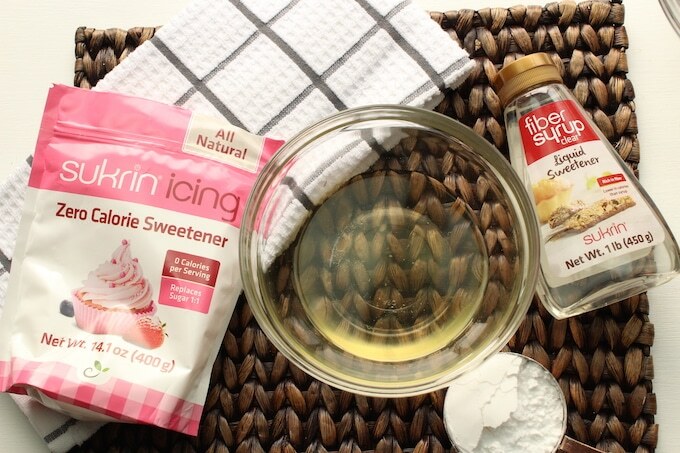 Ready to try Sukrin Fiber Syrup Clear or any of the other fabulous Sukrin Products? Place your order online at SukrinUSA.com and use code Marci2018 to receive 10% off because you know me! I love their super fine Almond Flour, Coconut Flour, Sukrin Icing (powdered sugar replacement) and Sukrin Gold (brown sugar replacement). Adding seeds and variations is a great source of important vitamins, minerals and antioxidants to keep your family healthy. Various nuts add their unique flavor and give an extra crunch to the granola bars. 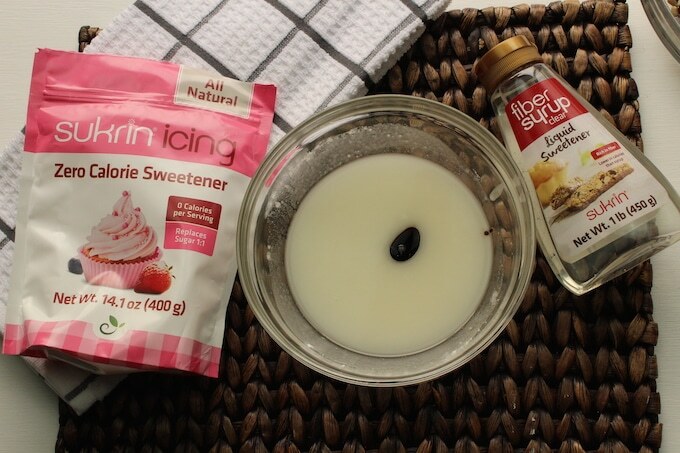 The zero calorie liquid sweetener ties all the ingredients together to make naturally sweet tasting and healthy bars. 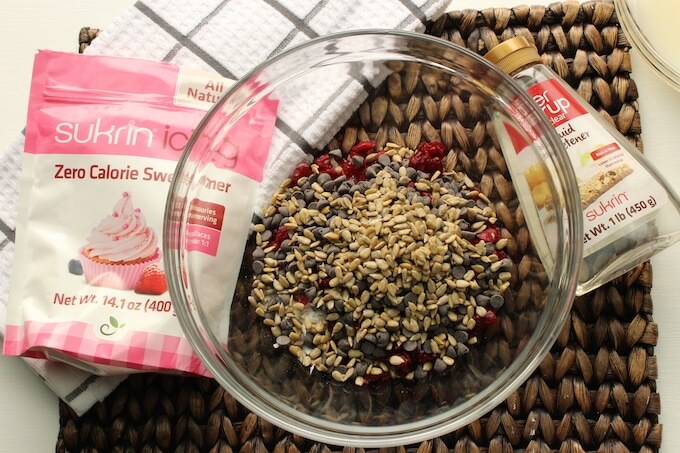 Throw in your favorite dried fruit! If you love something semi-sweet, add some dark chocolate chips and dried cherries with some pecans. Yum! For a more tropical take on the granola bars, you can add dried pineapples, mango and Mandarin oranges with some desiccated coconut! Perfect for the summer! 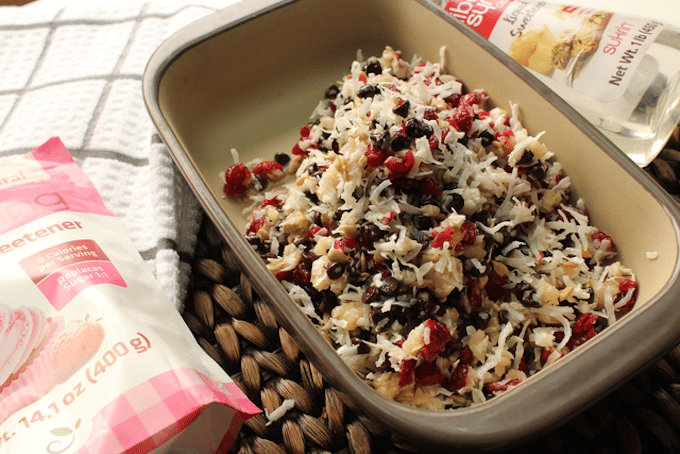 If you want something sweeter, add in some white chocolate chips and dried cranberries for perfect flavor combonation. 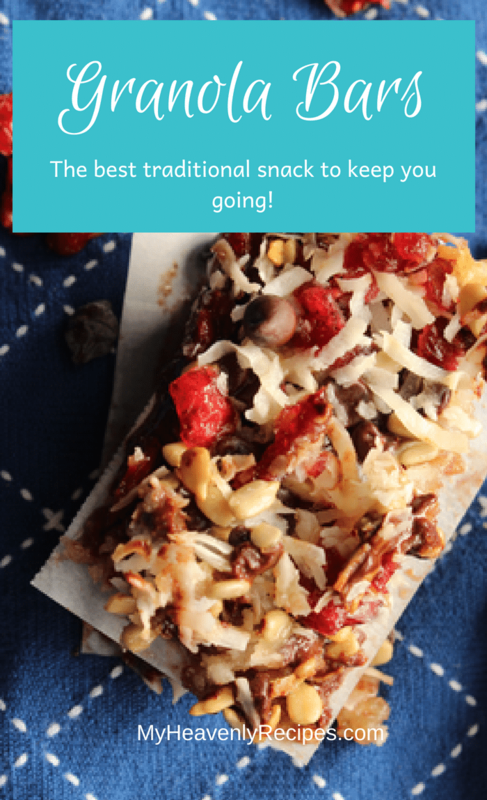 Peanut butter, M&M’s, chocolate chips, pretzel pieces and peanut butter chips in any combination work awesomely with this granola bar recipe. Kids are sure to love them! If you want granolas with a little more spice, why not try a combination of almonds, pecans, cashews, and cayenne pepper. To keep the bars together well, press down on them after they’ve chilled. This prevents them from crumbling before you even get to bite them! Place them in the fridge or freezer for bringing to school or work for snacks the next day. You can also try toasting the nuts for another dimension of taste! In a medium bowl, melt coconut oil. Whisk in sugar icing until smooth and set aside. 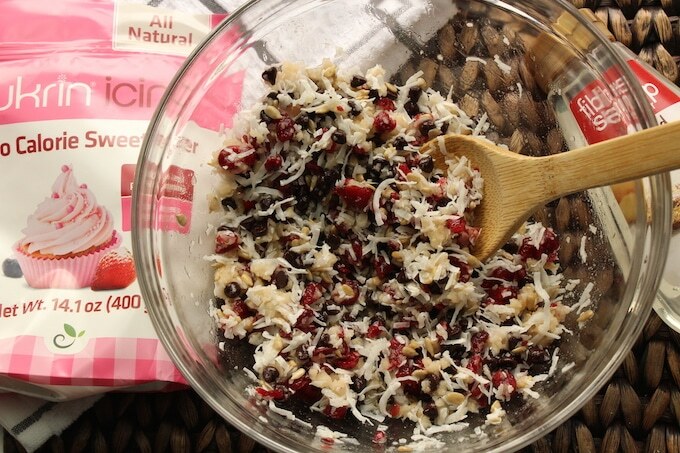 In a large bowl add coconut flakes, cranberries, sunflower seeds and chocolate chips. In the icing bowl, add in salt, fiber syrup and vanilla, stir until combined. Pour icing on top of dry ingredients and mix until well incorporated. Press mixture into a 1 qt. pan to compact it as much as possible. TIP: Use a measuring cup. Bake for 20-25 minutes until granola bars look “dried out” and the edges just begin to brown. Allow to cool completely and cut into bars with a very sharp knife. Make these super easy Granola Bars for snacks at home or on the go! 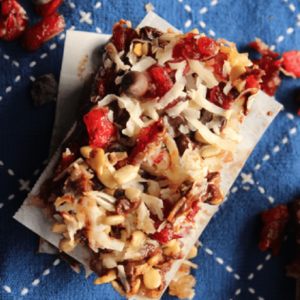 It’s a sure and simple way to give your family an energy bar full of yummy goodness. In the icing bowl, add in salt, liquid sweetener (fiber syrup) and vanilla, stir until combined. Pour icing on top of dry ingredients and mix until well incorporated. Press mixture into a 1 qt pan to compact it as much as possible. TIP: Use a measuring cup. Bake for 20-25 minutes until granola bars look "dried out" and the edges just begin to brown. For lower carb count, omit sunflower seeds.